America and China has maybe the biggest problems with coal and air pollution, but Europe or Germany and Poland are not much better. Not only the human-made climate changes, global warming and radioactive carbon emissions are problematic. Coal almost always contains traces of the radioactive elements uranium, thorium and radium. The environmental consequences of coal combustion, coal-fired generation, gasification, toxication and toxic emissions are enormous. 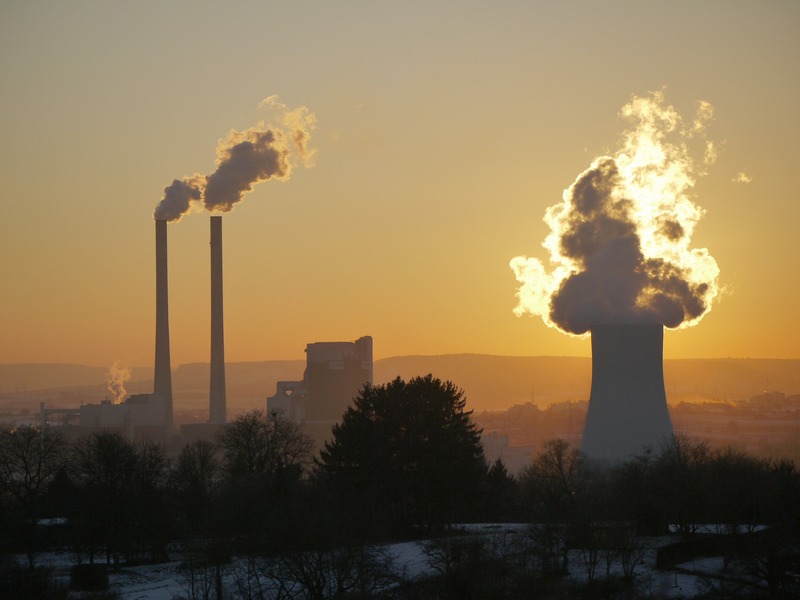 Air, soils and waters are and were polluted by the coal industry, especially by heavy metals and hazardous substances including arsenic, lead, mercury, cadmium, chromium, selenium, aluminum, antimony, barium, beryllium, boron, chlorine, cobalt, manganese, molybdenum, nickel, thallium, vanadium, zinc,.. Worldwide around a million people are currently being killed slowly, passively and creepingly by coal pollution in just one year – these are the official numbers, in reality it are much more deaths and sick humans! In Germany thousands are dying of the poisoning and coal fine dust. In Europe, hundreds of thousands of people die by air pollution. The people who get sick and suffer from it every day are not even described here. The destruction of entire species (life forms like humans included), of nature and the environment through all these environmental poisoning and destruction would go beyond the scope here, same for climate research and global warming in this relation – but you can read more on our pages and connected projects. Internationally recognized climate, nature, environmental and legal institutions, especially for Environmental Rights and Human Rights agree, it’s mass murder (ecocide and genocide), not just of so many different life forms. The global air pollution, also caused by the coal industry or coal branch is genocide or mass murdering, and a big crime on the whole humanity. This must not only be payed with fines and taxes it must be judged by international laws and by all possible laws fast as possible, before much more humans will die. The actual mass murdering can be compared with the Holocaust. Coal plant emissions (by coal burning, coal mining and gasification), coal dust, coal ash and radiation of coal mines and coal-fired plants killing actually around one million people in just one year! Total air pollution kills more than 9 million people worldwide. Clean air, water and soil, as well as a healthy environment are Fundamental Rights (not just ethical and moral), Climate Rights, Environmental Rights and Human Rights – these are non-negotiable and immediately to follow. Anyone who ignores or tacitly ignores this, is partwise guilty or responsible! Brown coal sources (brown money), Nazism, Nazis and brown coal (in German BraunKohle) or lignite are more connected than many know. Important questions arise. Which investors are investing in the German coal industry? 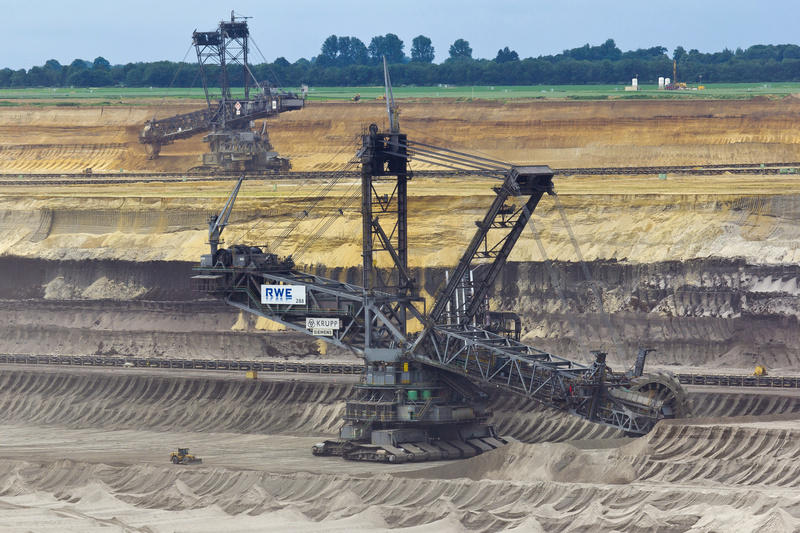 Who still invests in the German coal industry and is involved – not only in terms of money? What interests have the politics, business or economy and who benefits from the dirty coal business, the deaths or sick humans? What are the relations of connected industries or branches, especially in the financial and health sector? Maybe compare America’s and Germany’s Air Pollution in relation to the country size? We all need to support a quick and efficient coal exit, especially in Germany, Poland and Czech Republic where the most polluting lignite mines and dirtiest coal plants in Europe are still operating. Air pollution and radiation does not stop at the national borders, it affects us all, especially the neighboring countries. https://thoughtscapism.com/2017/11/04/nuclear-waste-ideas-vs-reality – Radioactive Coal ! The global gasification and poisoning by brown coal world champion Germany is still ongoing and millions will die if the coal exit isn’t realized as fast or soon as possible! The air pollution by radioactive coal, coal combustion (emissions), radioactive coal ash or coal dust and the excavation material releasing more radioactive particles into the environment than nuclear weapons or nuclear power plants together! 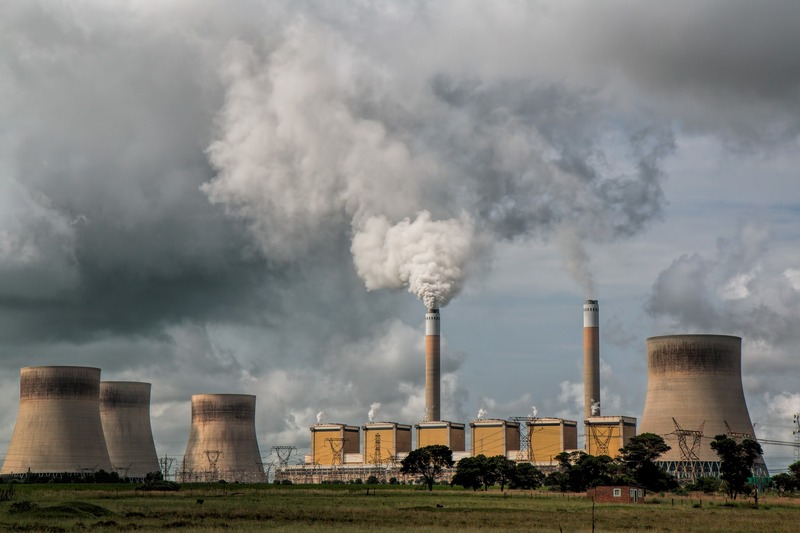 The ORNL estimates that by 2040, coal-fired power plants will release more than 800,000 tonnes of uranium and 2 million tonnes of thorium worldwide if the world coal nations not finally end the coal use. The uranium content of lignite is 0.2 grams per ton, that of the overburden 0.2 to 3 grams (mean 0.8 g) per tonne. This means that with the annual production of approximately 100 million tons of lignite and 460 million tons of overburden, 388 tons of uranium are also moved or released in the environment (air, soils, waters). And coal groups or coal companies like LEAG and RWE are proud to have mined each over one billion tons of brown coal (lignite). The release of all the toxins and especially radioactive particulate matter into the environment will have a huge negative impact on nature, the environment and humanity in decades to come, many consequences are still unclear today. We all (humanity) need to stop this radioactive contamination of planet earth, especially the massive pollution of the lakes, rivers and oceans. The humanity and public has the right to know the whole truth about the brown coal and radioactivity. It affects us all, especially the children, the sick and all the victims who died or still suffering. Please support the environmentalists and Human Rights activists at Hambach Forest in NRW, Germany. The Constitutional State, Democracy, Climate Rights, Environmental Rights, Fundamental Rights and Human Rights are in danger – many rights and laws are violated by the brown coal or lignite companies like RWE and other responsibles in different branches like politics. Coal fired plants and brown coal mines release unhealthy toxic air, coal ash and coal dust particles. What is wrong against fresh air forests generating, they even filter most of the toxics and can store toxic carbon. Officials and politicans should protect the environmentalists, nature and Human Rights activists not force them out of woods or forests. The officials and responsibles should force the corporations of destruction and homicides (destruction of landscapes, life and forests for dirty coal business, money or profits) out of the landscapes and build diverse natural landscapes or healthy environments like parks and mixed forests! No one wants dirty brown coal, toxic or radioactive lignite in future. These really anti-democratic and criminal actions by the officials and contacts or ‘partners’ of the coal industry’ contradict and harm any true democracy, it is not without reason that petitions and referendums have now been concluded with over a million votes and signatures! Much more will follow, millions (not only in Germany) are against the clearing, deforestation and other destruction or pollution by the RWE group. 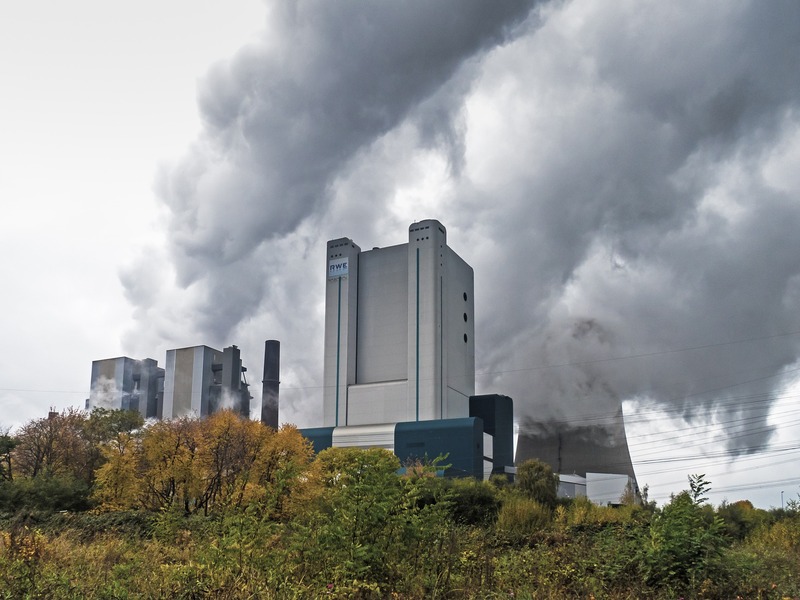 If the brown coal company RWE can’t produce clean energy without harming, killing or violating life (humans included) and keeps on polluting the worldwide environment, airs, soils and waters, the RWE companies or group must be stopped immediately. All companies who can’t prevent any deaths, diseases or people dying by their actions, dangerous presence, toxic side products, toxic materials, toxins, pollutants or unhealthy waste products should be closed and stopped completely and immediately – or humanity, state and society let continue these mass murderers? In memories to all the deaths and victims died by the pollution and toxication caused by the coal industry in Germany. We are very disappointed and sad about all this injustice and ignorance, especially by responsibles in the politics or German government. Human health and environmental impacts of coal combustion and post-combustion wastes ! The “political group” or partwise state-owned company RWE keeps on violating Climate Laws, Fundamental Rights, Environmental Rights and Human Rights directly and indirectly. Democracy, civil rights and liberties are in danger, so like the rule of law. Many other important national, European and international laws are violated, especially in relation to business, corruption, health and organised crime. Government, state authority (law enforcement officers and special commandos) are being abused to forcefully enforce RWE’s interests, regardless of casualties, accidents or even deaths. According to scientific and medical researches RWE is responsible for thousands of deaths during the years and thousands of diseases or sick peoples! The German society and especially the responsibles must stop this land degradation, deforestation, environmental destruction and pollution by RWE now or in the next days, not next month or next year. Clean air, waters, soils and a healthy environment are Fundamental Rights, Environmental Rights and Human Rights. All these laws are non-negotiable and immediately to follow! Support the environmentalists, Human Rights activists and victims of the destruction and pollution by brown coal companies. To keep the Hambach forest is not just important for conservation (especially of all the endangered species) and environmental protection, the forest, various trees and soils are important CO2 storage and filter mediums, also for the toxic air released by the coal power plants. The Hambach Forest contains endangered life forms and species who are in danger by extinction. 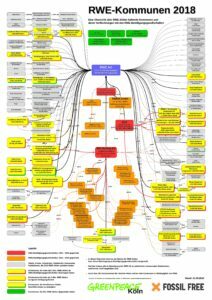 The plans of RWE are criminal and illegal in many cases and relations, especially to national, European and international laws like Climate Laws, Environmental Laws and Human Rights Laws. There are countless evidences, documentaries and reports about the violations of all these laws by RWE – you can see a lot in the media. More detailed information, facts, scientific papers, reports and sources you can see on all the linked pages, platforms, institutions, organisations and networks.